In December of 2016 I recorded an album of old time fiddle tunes on solo mandolin. Part of my senior thesis at at Hampshire College included composition and performance. I composed music that explores the intersection of traditional fiddling traditions (Ireland, the United States, Canada, and Scandinavia), jazz, and open improvisation. I assembled and rehearsed with a nine member ensemble, culminating in an end of year performance. I have a YouTube channel dedicated to providing examples of traditional, recently composed, and original fiddle tunes played on the mandolin. Many times when I am trying to find examples of tunes, I look to YouTube for examples. I decided that I would start a library of my favorite tunes in the hopes that others would find it helpful. Find the whole library here. 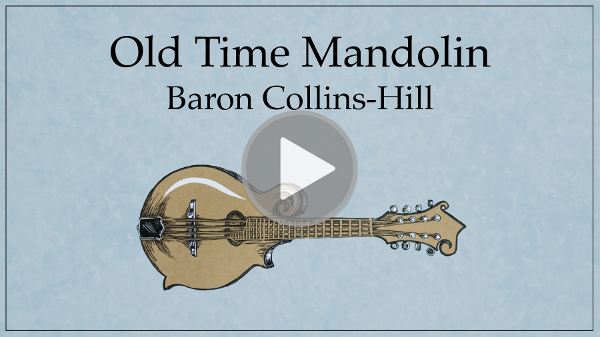 An ongoing, slowly evolving project of mine is writing music for solo mandolin. In these works I explore the limitations and unique opportunities presented by the instrument through alternate tunings, unconventional techniques, and compositions inspired by the inherent tonal palate available from the instrument. You can view the score here.